Ginger has long back concurred the hearts (and stomachs) of nutritionists and health-conscious people. Before it got introduced into the western cuisine, where it was mostly used for sweets, it’d been used in Asian cuisine for thousands of years. Nowadays health benefits of adding ginger to your diet are widely known – it is a powerful digestive aid that helps to absorb nutrients, a warming spice, that relieves stress and stimulates appetite, and can be used as a home remedy against many common diseases. Ginger tea is a popular recipe, where the root is often paired with lemon and honey. 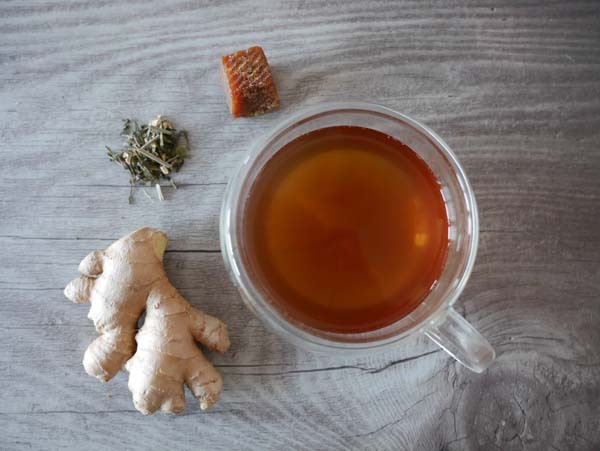 I would like to share with you a different version of ginger tea, featuring very simple ingredients, that fuse into an amazing flavour, not to mention all their health benefits. During my nutrition classes at an Ayurvedic clinic in Mysore we used to sip this tea at all times, and it has become a staple in my kitchen since, and it is one of the favourite drinks we serve at our Ayurvedic Nutrition classes in Stuttgart. Step 1. Pour water into a small pot. Add peeled and sliced ginger, grated jaggery and green tea. Step 2. Bring water to boil. Boil the tea for about 1 minute, switch off the heat and let it sit for a few more minutes. The longer it sits, the stronger the taste of the ginger will be. That’s it – your ayurvedic ginger tea is ready! *Some practitioners give a word of caution against taking ginger tea in the evening due to its strong heating qualities, that can cause unrest and insomnia. Don’t forget that everything should be taken in moderation. Subscribe to Tastiness from Happy Bellyfish! Welcome to Happy Bellyfish community! The most delicious food stories are on their way. 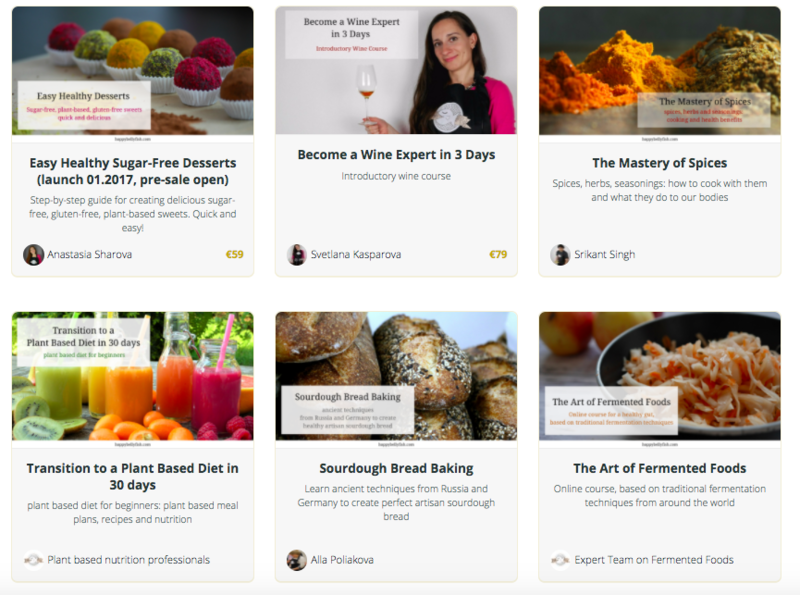 We will send you new recipes, cooking hacks, nutrition advice and delicious food stories from around the world!